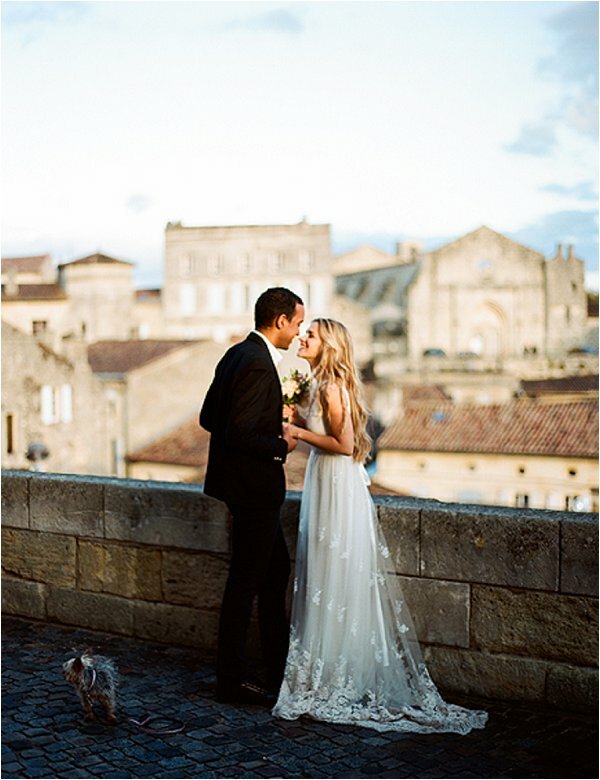 It’s only Friday and I have such a wonderful real elopement to share with you today, the intimate wedding in Saint-Emilion of Lili and Thibault. 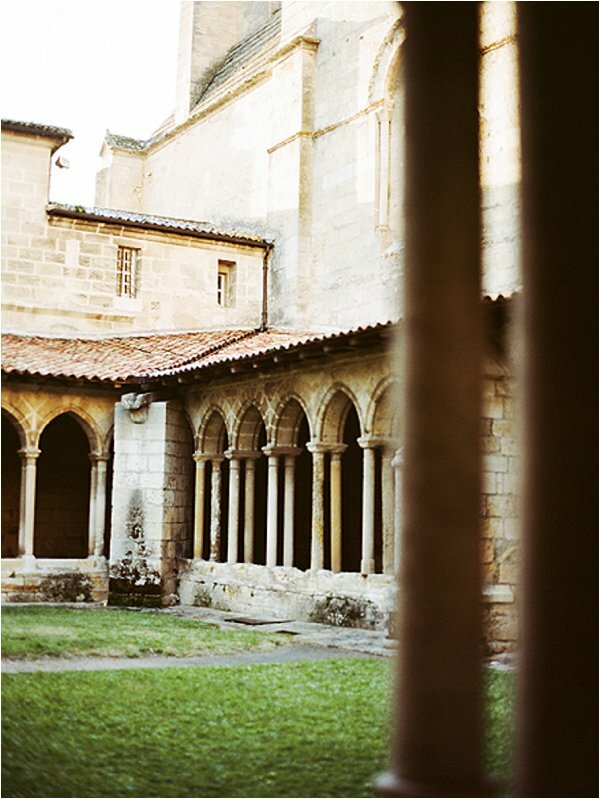 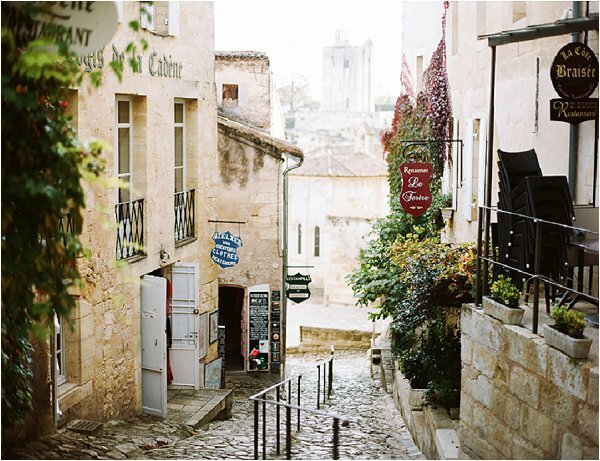 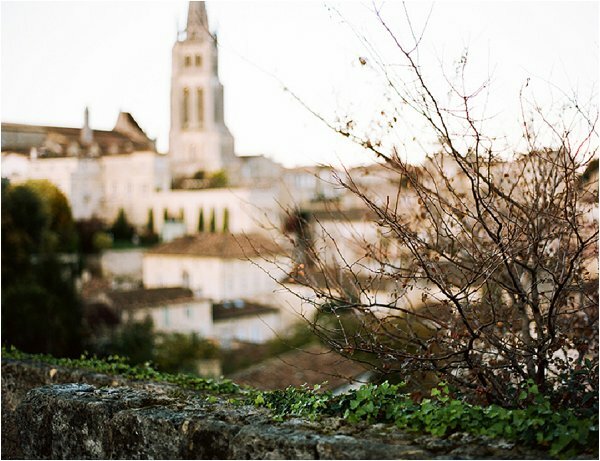 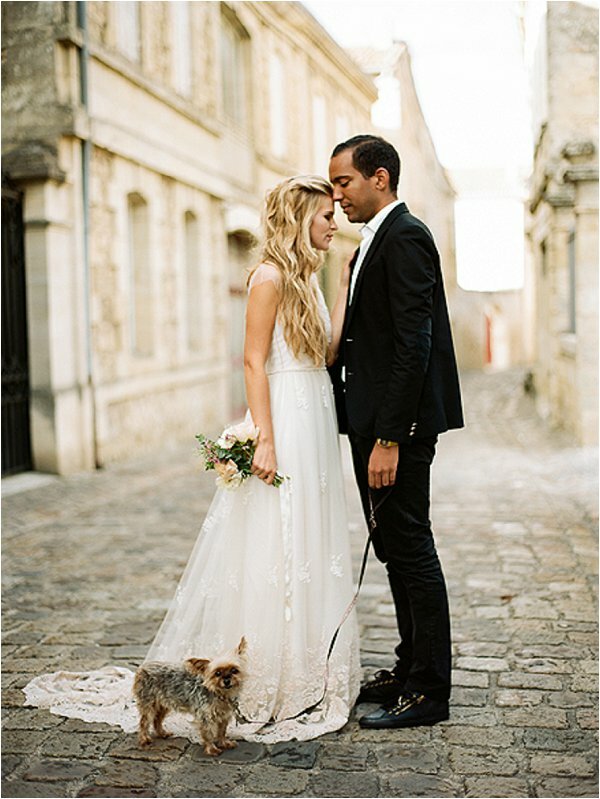 The couple from Paris, too the train down to Saint-Emilion with their adorable dog Vanille for a wedding elopement in the capital of wine, planned by Laura Dova and captured by Viktoria Samoilova. 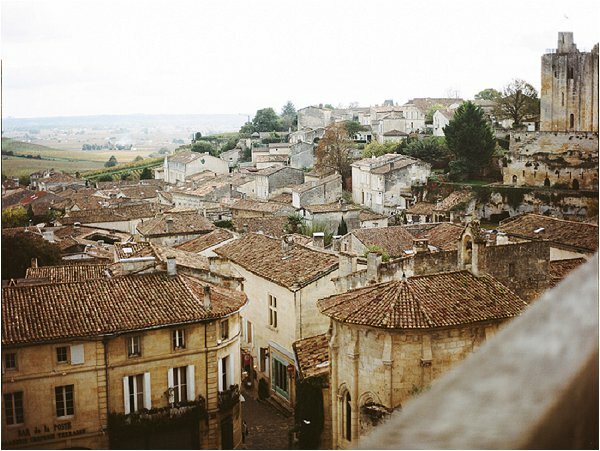 St. Emilion is a charming medieval very unique village, world-famous for its wine, beautiful architecture and great monument. 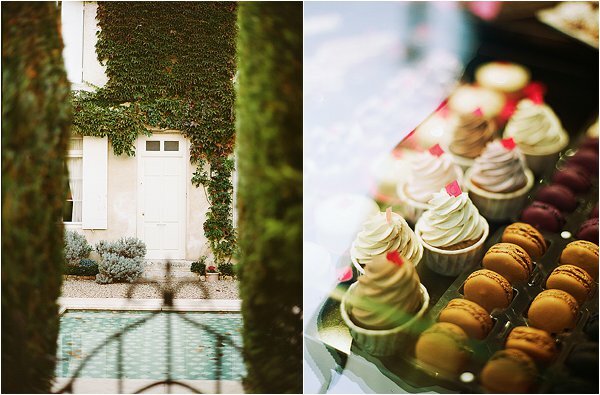 A perfect match for an intimate and romantic love escape. 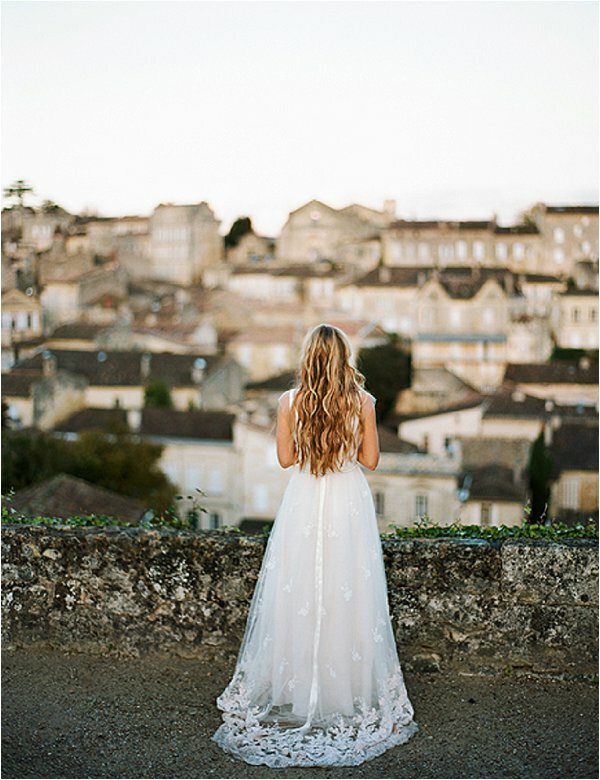 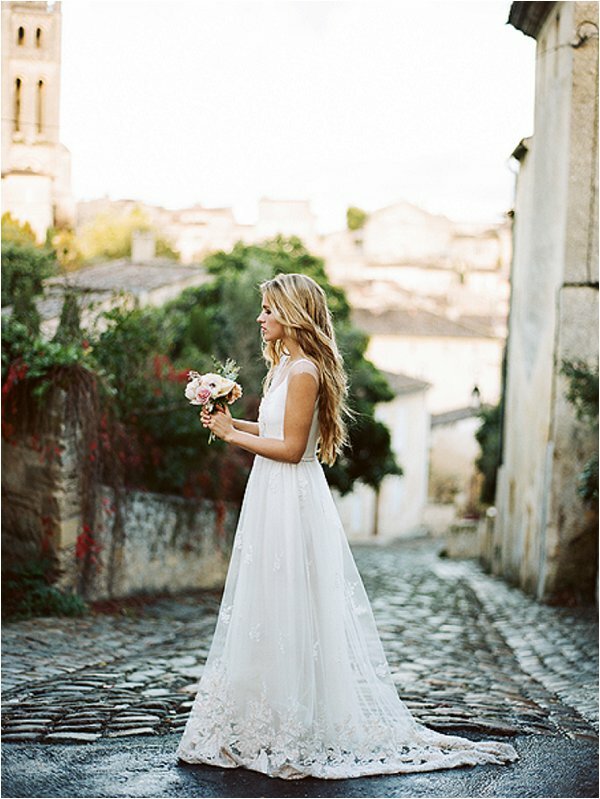 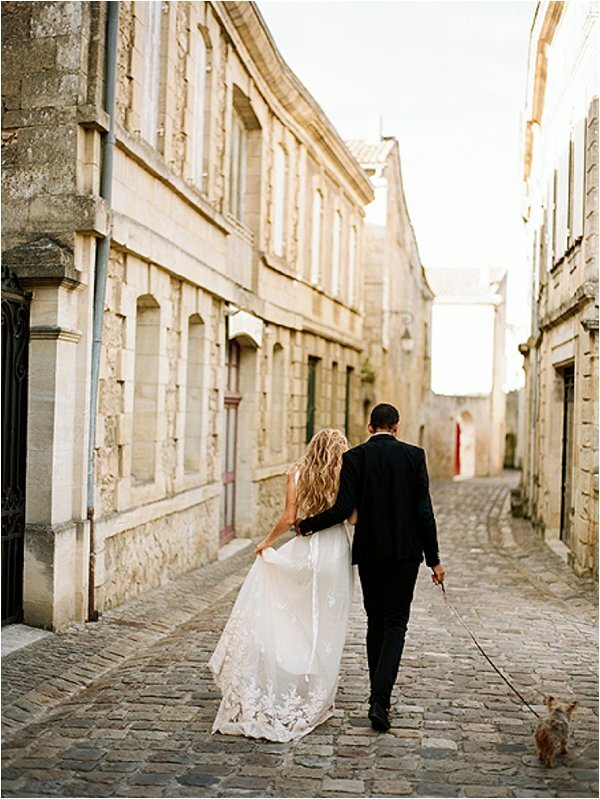 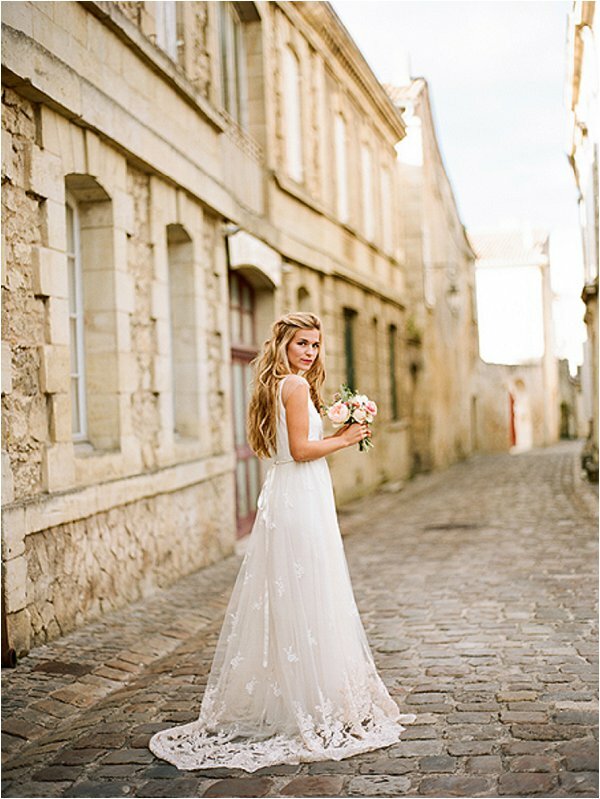 For the avid readers you will remember Laura Dova as my assistant on the last TeamAmour wedding shoot in Provence. 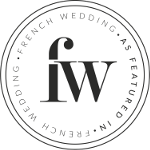 Not only is she a wonderful planner, she is also super lovely too! 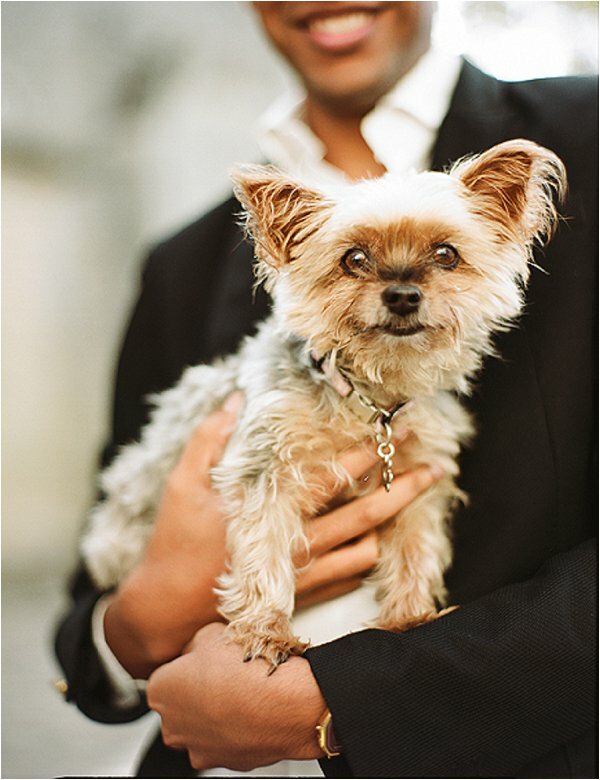 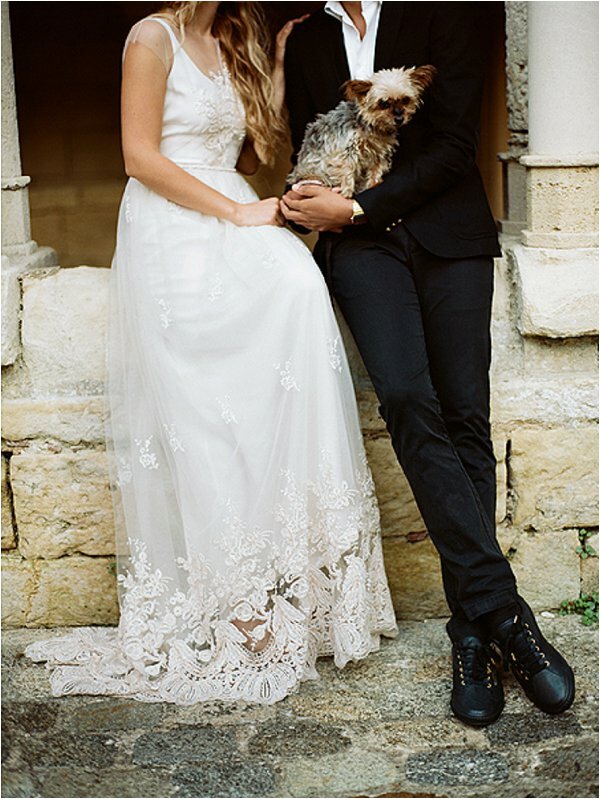 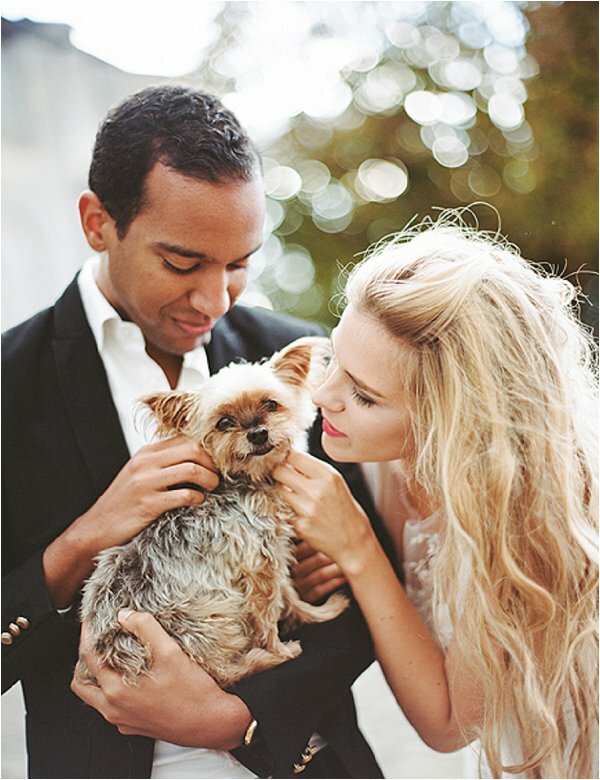 From the photographer: “Thibaut asked me if they could take their dog, instead of leaving her in their hotel room and also because Vanille is the dog Lili gave to him on their first anniversary, four years ago already.